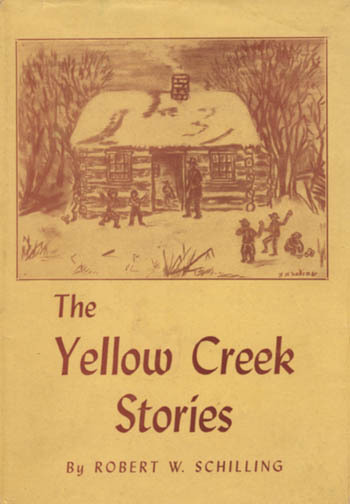 Copyright 1947, Heirs of Robert W. Schilling. Used by permission. book would never have been written. With his feelins well as ears. And the latchstring through the door." Back a half century ago, in the golden days of my youth, I plainly remember how the sturdy farmer flailed his dry buckwheat straw on the threshing floor of the large barn. After the liberal beating, "seven times around," he would turn the dry stems over and flail it an equal number of times, and getting almost the same quantityperchance not of the qualityof grain. This is my second flailing of straw, and although the subject will stand many more turnings and beatingseven then I believe the refuse straw will, with a refreshing rain, grow bright green from the remaining uncovered seed. The short time required to write those little stories I found to be a pleasant avocation, and I trust that they will furnish as much delight to the reader as the writing of them was a pleasure to the author. The entire effort was continuously confronted by these slight annoyances, of which the greatest was frequent professional interruptions. This was followed by the necessity to cull the scores of subjects which could be used, and finally to compress the whole story into its shortest form. After looking over my manuscripts, I find that the golden web that runs through each chapter is that the essence of life is character, and that most of our great men became great, by doing great things.